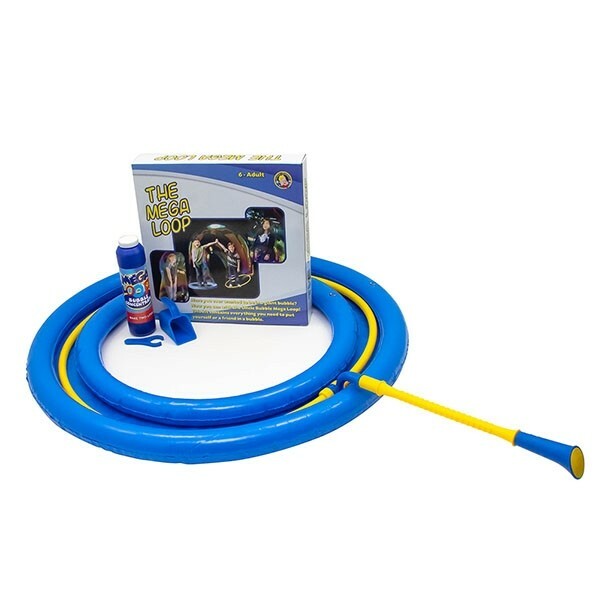 *GIFTED - I have been sent the following product in return for a review. Mother's Day in 3 weeks folks! 31st of March this year in the UK. Funny how different places have different dates - last Sunday of March for the UK, while in Poland we celebrate on the same day every year, the 26th of May. 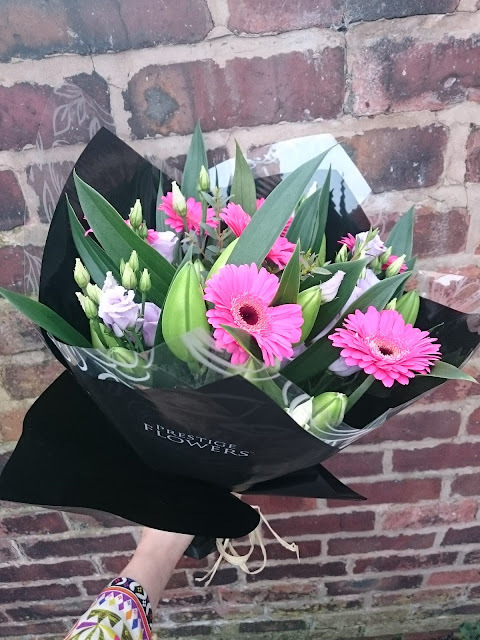 Ahead of this special celebration, the lovely team at Prestige Flowers has sent me one of their luxury bouquets from the Mother's Day range. The flowers come in a large box, as a beautifully arranged bouquet. Unlike some of the letterbox delivery services, these are ready to be put into a vase and adorn the house straight away. If you're concerned about the freshness of the flowers - they come with moist stem wrap, that will keep them safe until you're ready to put them in the water. The bouquet I received is the "Exquisite" from the Mother's Day range. At first it can look a bit modest with germini flowers and lisianthus, but it's actually full of luxurious white lilies - they reach you still closed, so you can enjoy the bouquet for longer. All in all, the bouquet lasted well for over two weeks. If you're thinking to treat someone this Mother's Day, but can't get the flowers or gifts in person, Prestige Flowers is the place for you. Just pick your flowers - some come with free chocolates! - add a message, pick the delivery date and you're sorted. 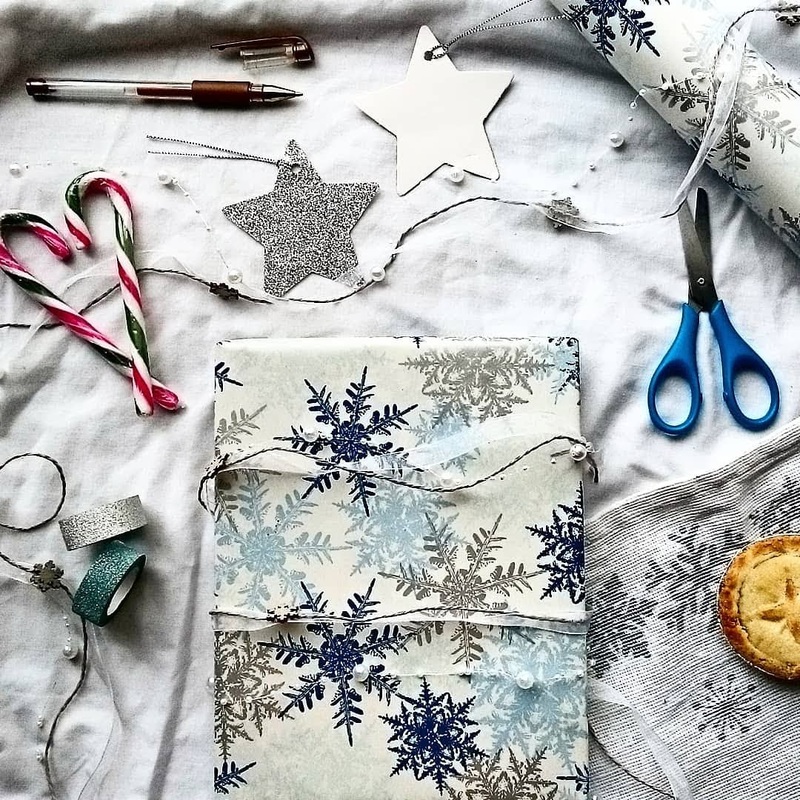 Next Day delivery starts from £5.80, and if you're really forgetful you can get Same Day delivery if you remember before 3pm (except Sundays). Christmas! Who doesn't love Christmas, eh? Well, it seems that a lot of people believe that Muslims actually hate it. Ok, some probably do, but not all. It can be a challenging time though, particularly for reverts/converts. As if it's not hard enough being a revert, suddenly we have to give up the traditions we grew up with, because the whole world is telling us how haraam it is. Yes, it's a fact that we shouldn't partake in the celebration of the birth of Jesus, because the basis of Christmas is that he was the son of God, born human to save mankind. And while Muslims do believe in Jesus, in Islam he is one of the prophets sent to guide us, and we don't believe he was the embodiment of God on Earth. But do we really have to be so hard on ourselves? I believe it's all about the balance. Living in a country where Christmas is a massive part of the culture, we can't avoid it anyway. But we're ok with it. There are Christmas trees and decorations everywhere, and all places play Christmas music. My child took part in the Nativity play, wore a Christmas jumper, had Christmas lunch at school, Christmas party where all the kids got books "from Santa" like every year, he even went to Santa's grotto at the school's winter fair. Does it make us celebrate the actual meaning of Christmas? No. 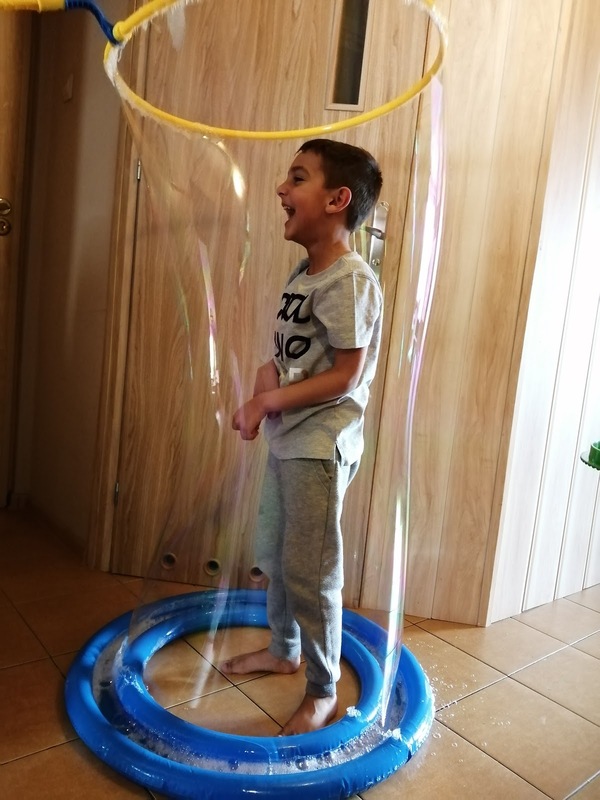 For Adam it's part of learning about the culture, just like they learn about Diwali, Chinese New Year, Ramadan and Eid (when they also have a big party). I also believe it's about our intentions. How can we ignore our families' celebrations, yet expect them to acknowledge our Eids? I might not go home for Christmas, as it can get pretty pricey over the festive period, but we do send some small gifts every year and I always get on Skype to mum and dad. It's about the family time for us, and we don't even mention the religious aspect of the holidays. To all the converts/reverts out there - small steps is the way to go. Don't feel bad for spending Christmas with your loved ones! If they pray before the meal, you might want to get on with getting the food ready for serving. If you feel that you can't avoid stuff you're not comfortable with, visit them on Christmas Eve or Boxing Day. Keep in mind that Islam also teaches to maintain the family ties. Other Muslims - go easy on the converts, especially the new ones. What you take for granted, some of us might struggle with for years to come. All in all it's about finding that balance, finding what will work for you without compromising your beliefs. Hope you all find it and can always have a great time over the Christmas period! This post contains affiliate links, as an Amazon Associate I'll earn money through qualifying purchases. Oh my, how the year has flown again! Can't believe it's the end of November already, and only one month left of 2018. This means that winter will be officially starting too, eek! And what does the winter need? Snow! While we wait for the real stuff, Adam's been having fun with some artificial one from Presto Snow. 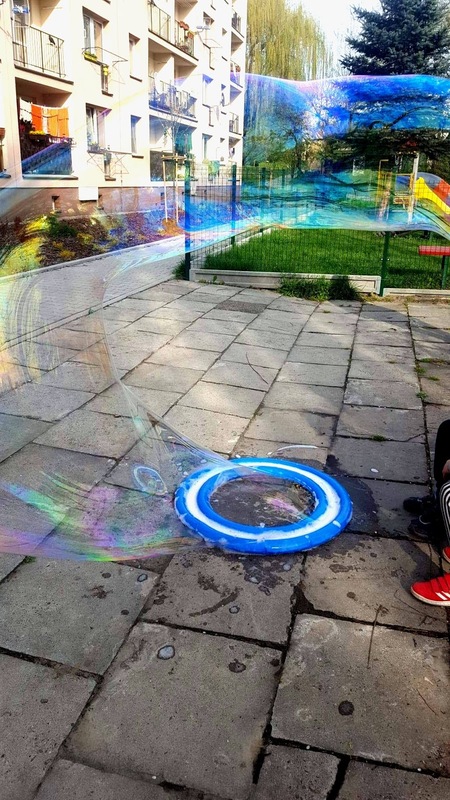 Presto Snow is a magical powder, made of super absorbent polymer. 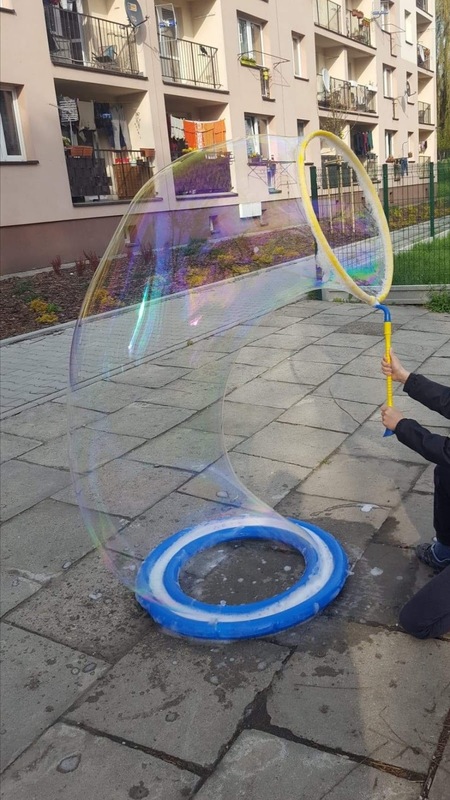 It absorbs 100 times its weight in water, and can expand up to 30 times its volume - just one 5g scoop of the powder makes up approximately one cup of snow! A full 100g tub will make about 7 liters of white fluff. It's really easy - add 60ml of water per scoop (just make sure you measure the water properly so you don't end up with wet slush) and the polymer powder will absorb it, turning into fluffy artificial snow. One negative - you can't build anything with it - once you make it into snow, it's like the dry kind that doesn't stick into snowballs or anything. Adam had fun making a little winter village, but that's about all you can do with it. I do think it would work great for some winter or Christmas decorations though, if that's something you do! We might currently be renting our house, but it's still important to add our own touches to make it feel like home. I have a few bits in the living room and our bedroom, but not really anything for Adam apart from his map of the world, and an alphabet poster that he well outgrew by now. We were kindly sent a selection of posters from Eduprints Plus to put on our walls and bring more fun to them. They offer a range of high quality, colourful wall art, designed to be fun, educational and inspiring for the kids. There is a selection of Times Tables up to 12, vocabulary posters and inspirational quotes for the curious minds. We got a selection from each category: Times Six Table, "Nice" vocabulary sheet and couple of the quote posters. My personal favourite is our Looking for magic? You'll find it in a book poster. When we first moved in and moved things around to accommodate our own furniture, we found a perfect little nook for one of the armchairs - right next to the bookshelf. The poster is a perfect accompaniment to our little reading corner. I also really liked the Times Tables selection. As I mentioned, they go from 1 to 12, each poster has a different animal that represents the given number in some way. Adam is not learning those just yet, but when he starts I'd happily order more of these. *We were sent a selection of posters from Eduprints Plus in exchange for an honest review. All opinions, as always, are my own. It's now been a week since I turned 30. Honestly I thought I'll be feeling emotional or something. It's a milestone birthday after all! It should be a whole new chapter of my life! It kinda made me feel super young to be able to say "I'm in my twenties" - even when I eventually got to 29. 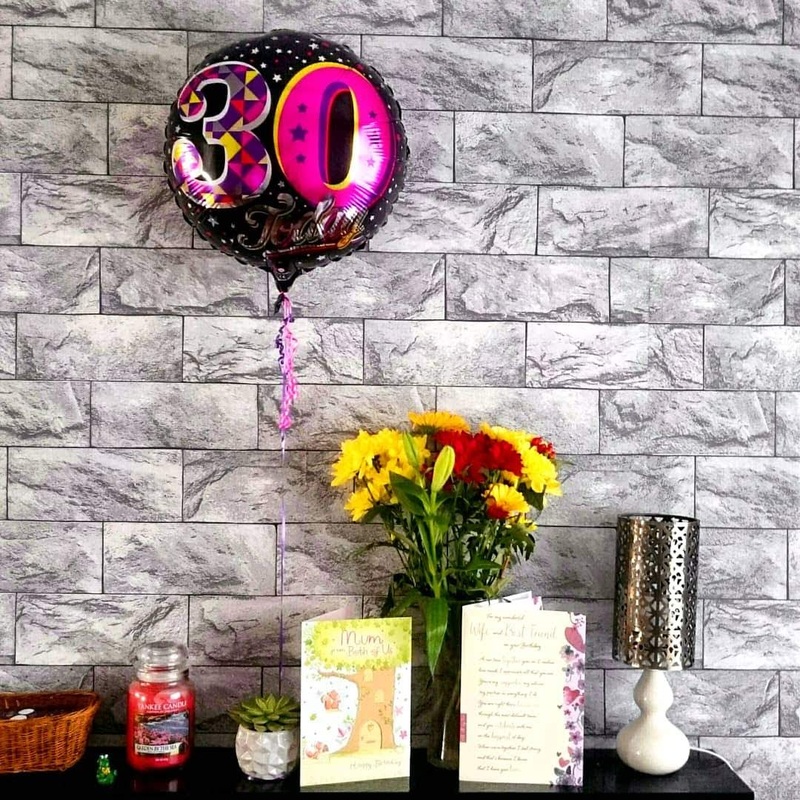 Somehow being in my twenties made me think of the thirty-somethings as more mature, even though they weren't necessarily that much older than me. I guess it kinda came from being that older one - when you're in your 20s, the teenagers tend to look at you as someone so much older (even if you're just 20-21, and they're 18-19). There's something about moving into another decade of your life that makes you feel relatable only to people within the same decade - one up or down and it can feel like this huge gap, even if it isn't. It's probably really chaotic and silly what I'm saying, but hopefully someone here will get me lol! Anyway - I'm feeling nothing in particular. Well, I did get emotional, but not because of the birthday itself, but because Hubby was ever so thoughtful and brought the cake, flowers, bottle of fizzy (non-alcoholic of course), cards from him and the kids and a balloon. I got emotional, because it's just my silly nature - I played the Disney songs playlist off YouTube for Adam the other day, and Lion King's "Circle of life" still sets me off. But it just felt like any other birthday, my life didn't take some sort of sudden turn, I'm not feeling any more mature, or in any way different for that matter. But, regardless of how I feel about being 30 - it's time to get a grip. At the moment I'm not necessarily in the position to work outside, so I really need to get serious about trying to do something from home. I know I've said it a million times before, but I really should stop neglecting the blog for the start. A massive thanks go to sister Jameela from Ilma Education for setting up the Blog Post challenge and giving us prompts to get us writing. Let's hope this will be my motivation to write regularly, and finally use all the topics I just keep writing down in my notebook! Hampers are the perfect choice if you want to gift something more personalised, and easy to put together too - couple of years ago I actually bought a basket and all the items I wanted to put in it separately, and made it into a gift hamper. However, if you don't feel up to it, don't have time or don't really want to choose the items yourself, places like Prestige Hampers make it easier for you! Side note: don't you have an impression, that whenever you go on social media there's another person either announcing the pregnancy, or that they've just had a baby? With so many new babies around, it's just as well that we've been sent a lovely Baby Gift hamper to have a look at. All the items are sat in a cute little basket with a handle, and sealed with foil. This pop-up card really is a clever little thing that will definitely stand out among all the "new baby" cards your recipient will have. If you know anyone that's expecting, or has just had a new addition to their family, you should definitely check out Prestige Hampers and their Baby Gift section! With hampers starting at £19.99, for either boy or a girl (there's couple of more neutral ones too), you'll be sure to find a prefect gift. *We were sent the hamper pictured for the purpose of reviewing it, all views as always are my own. Eco by Naty originated in Sweden, after the founder Marlene Sandberg came across an article, saying that an average baby goes through half a ton of disposable nappies in a year. Just imagine those landfills, eh? Marlene decided that all those nappies, made mainly of plastic, were a massive burden on the environment, so she would work on a more eco-friendly alternative. After five years of extensive research and hard work, Eco by Naty was born. We were sent a lovely little hamper of various products - pack of nappies, biodegradable nappy bags, choice of scented and unscented baby wipes, baby shampoo, rash cream, and a hand cream for myself. If I tried to imagine eco-friendly nappies before trying these, I'd probably picture something of poor quality, looking like they're about to fall apart. I was pleasantly surprised with Eco by Naty nappies - they look pretty strong. The main absorbent is wood pulp, and other layers include other biodegradable materials like sugarcane and compost certified tissue. The leak-proof layer is made of cornstarch, which is as effective as plastic used in other nappies. All those materials are 100% non-GMO. The nappies are also unbleached and contain no perfume. And I quite liked that the design is really simple, all white with just a delicate pattern. The natural cornstarch film is also used to make their disposable nappy bags. They're really good size, strong, and I quite liked that they don't have this strong, sickly scent that nappy bags usually do. Eco-friendly nappies were soon followed by a whole range of baby products - we got to try the rash cream and baby shampoo. They also offer stuff for grown-ups, from skincare (like this hand cream) to feminine care (pads and tampons). All the skincare is paraben-free, contains no mineral oils, no paraffin, no synthetic colours or fragrances. Basically, no nasties inside. I'm keen on this kind of cosmetics, ever since Adam suffered with bad eczema as a baby. This is long gone, but now his skin can get extremely dry and itchy, so I try to use some mild cosmetics. Obviously, same goes for Aminah, as I try to avoid having the same problems with her. After trying it out, this is hands down my favourite rash cream yet. It's not too thick, applies very nicely, and after actually trying it on some nappy rash it reduced the redness after one use. All this, while having no nasties on the ingredients list? Win-win! The Eco by Naty products exceeded my expectations. I was pleasantly surprised with the quality of the nappies, and we didn't have any leaks. They also held on pretty well while Aminah was crawling around with just a nappy on in the recent heatwave. Rash cream was definitely my favourite, simply because it really worked on a sore bum. If you fancy trying the eco-friendly nappies for yourself, you can get a trial box from Eco by Naty WEBSITE. *I was sent a selection of Eco by Naty products in exchange for a review. The opinions presented are always honest and my own. Oh my, has it really been so long again? To be fair though, there has been a massive change in our lives again - we decided to leave Bedfordshire for the sunny (so far) Manchester! We're slowly adjusting and hopefully I can pick up the pace again. Anyway - I'm lucky with the hot weather, because Aminah is nearly 8 months old, which means she's been enjoying her solids for a while now. And when I say enjoy, I mean my laundry detergent supply is nowhere near big enough. When we started our weaning adventure, I got my hands on "The Flavour-led Weaning Cookbook" by Zainab Jagot Ahmed. Like probably most of us, she went through countless books, websites, forums and blogs to learn about weaning, but what she found left her underwhelmed. All the baby food just seemed... boring. Followed by extensive research into baby nutrition, food groups and the benefits of herbs and spices, Zainab started creating her own flavoursome baby food recipes, designed to tickle those little taste buds and encourage the love of variety in food. The book is great for all parents - both weaning beginners and those with a bit of experience. Zainab starts by explaining the weaning basics, including advice on when to start and how we know that baby is actually ready for it. She also explains two of the most common weaning techniques - spoon feeding and baby-led weaning, followed by an introduction to her concept of flavour-led weaning. So, what actually is flavour-lew weaning? It's basically making sure, no matter what your weaning technique, that you provide the baby with variety of flavours from the start. The cookbook actually starts with the seemingly most basic fruit and vegetable purees, but there might be some flavours you'd never think to give to your baby - most of us probably stick to things like apple, carrot, potato, banana... While Zainab encourages us to try papaya, aubergine, or melons - things that are somewhat less obvious choices.throughout the book we're slowly moving into mixing ingredients and flavours (aubergine&cauliflower or pea&pear puree), adding spices like cinnamon, cardamom or ginger, through more textured meals to finger foods, chunkier meals and finally to big table means that whole family can enjoy. Inspired by one of Zainab's stage 2 recipes for Tangy Apple Dhal, last time I cooked dhal for the family I made a portion for Aminah too. I made the masala in the usual way, skipping salt and chilli, but using ginger and garlic as well as some ground coriander and turmeric. I wish I had a book like this when weaning Adam, maybe he wouldn't have turned into such a fussy eater now ;) But I'm glad to have it now, it definitely encouraged me to be braver with feeding Aminah, and I know I can be bolder with the use of spices and flavours. I'd definitely recommend this to anyone, not just those who are starting the weaning process, but also those with older babies and toddlers, looking for flavoursome age-appropriate meals. *I was sent a copy of the above book by the author, in exchange for an honest review. All opinions, as always, are my own. I admit - I'm quite lenient when it comes to screen time. I do, however, keep an eye on the stuff Adam is watching. YouTube is a nightmare recently - have you seen all the weird stuff on it, that the kids can so easily find? When I check on Adam from time to time to see what he's watching, I happen to tell him to change the video way more often than I'd like to! 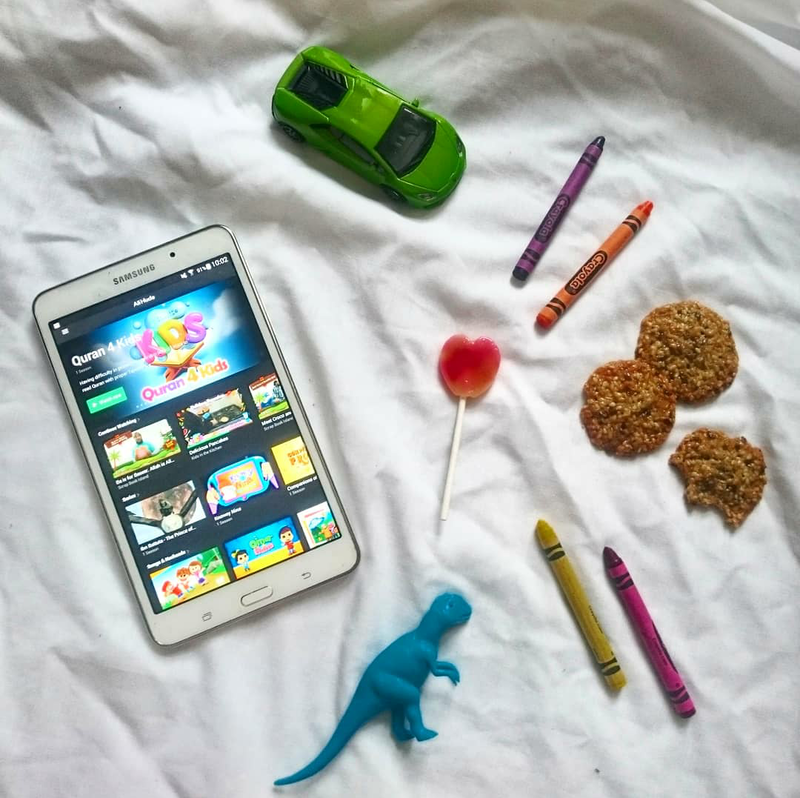 Luckily, there are some apps around, which will only show our kids stuff that is safe for them to watch. One of these is Ali Huda, dubbed the "Muslim Kids' Netflix. Ali Huda is a video subscription service, aimed at Muslim children. It's available anywhere in the world, and you can watch is on pretty much any device: iOS, Android, your laptop, Apple TV or Chromecast. 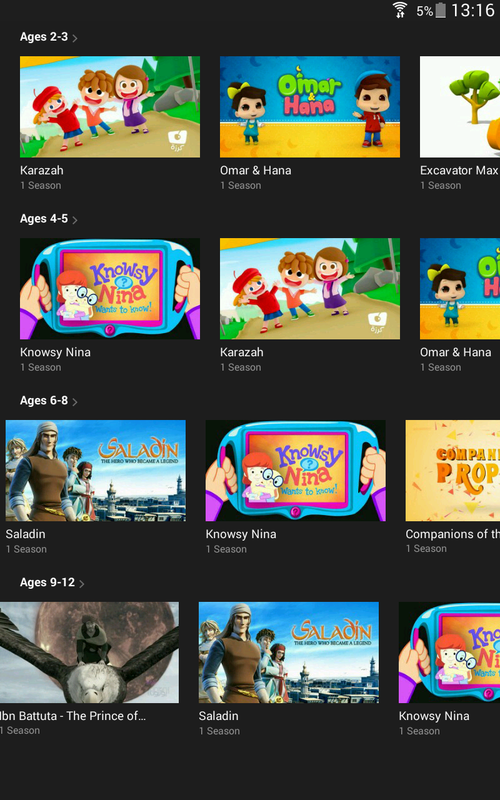 And the small monthly fee allows your kids to watch all the shows ad-free. And you can save the videos for those times when you're away from the wi-fi. 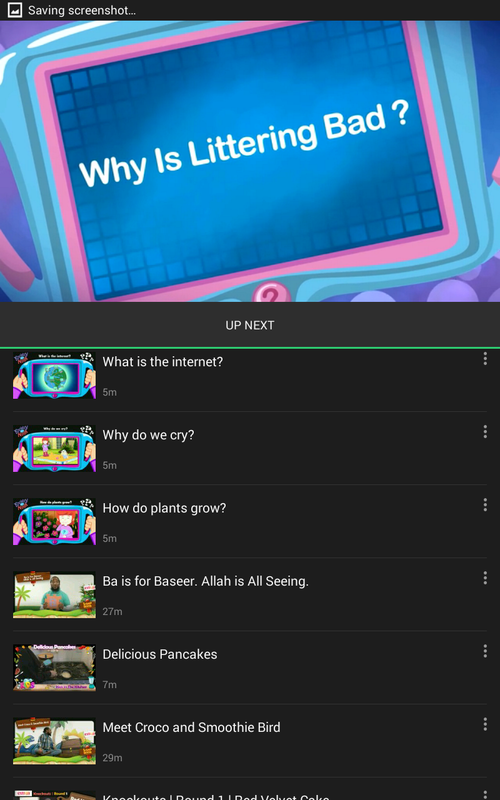 What I really like, is that it's super easy to find videos best suited for your own child. You can choose according to category, or the child's age group - and there are programmes to suit the kids between 2 and 12, so quite a wide range. 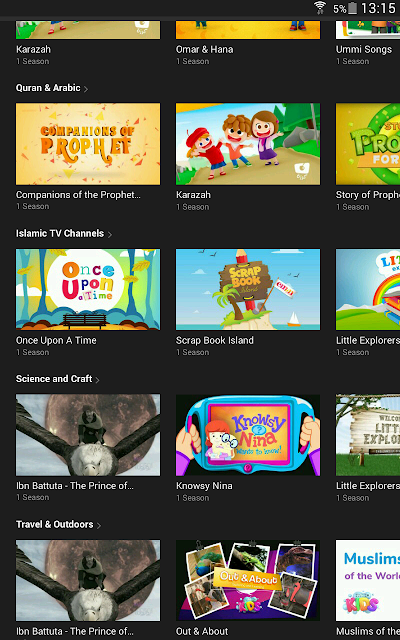 I'll be honest here - Adam being just under 5, is only just starting to get some interest in Islamic stories etc. 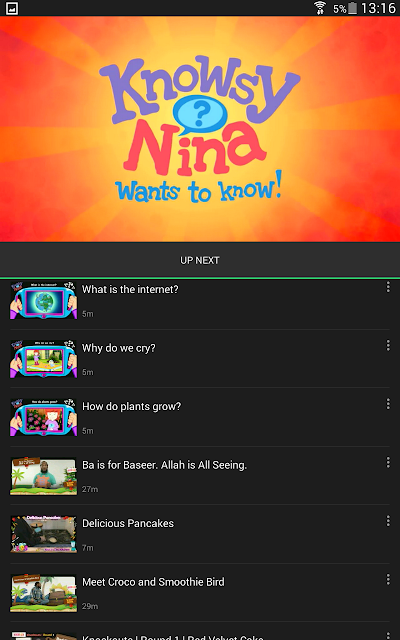 So, while the main focus of the app is obviously shows for the Muslim kids, I'm glad to see some shows that don't strictly focus on Islam - Adam quite enjoyed the "Knowsy Nina" who teaches kids some general life knowledge. 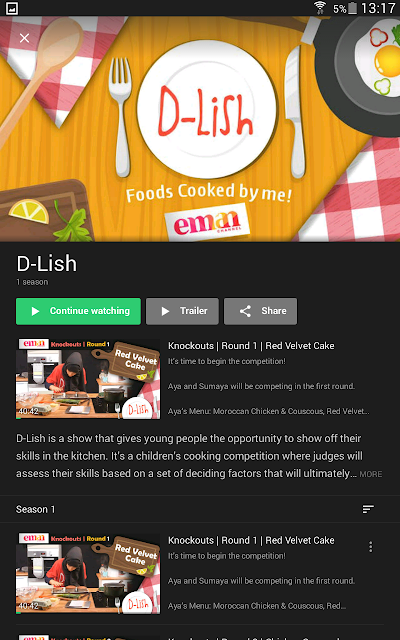 He also loves watching cookery shows with us, so couple of foodie programmes available on Ali Huda are right up his street. If this looks like an app for you and your kids, you can try Ali Huda for free for 30 days, and after that it's $7.95 a month. Also, 10% of the profits go to UK-based charity Orphans in Need. *Disclaimer: We were given 3 months of free access to Ali Huda in exchange for a review. All opinions, as always, are my own.